When you are involved in a Michigan car accident, you have the right to file a first-party accident claim under Michigan no-fault insurance law. First-party coverage includes payment for medical expenses, lost wages, and replacement services. Third-party claims are filed to help secure compensation for what isn’t covered under first-party benefits, namely, pain and suffering, and they do involve fault. What Is a Third-Party Claim in a Michigan Car Accident? Benefits for pain and suffering and other non-economic losses can be sought through third-party claims. A third-party claim is made by the injured person against the at-fault driver for causing the accident. First-party claims are contractual through the insured and their insurance company, but a third-party claim is based on tort law and considered a personal injury negligence case. The at-fault driver is usually defended by a representative from their insurance company. A third-party claim can only be brought, under Michigan law, if the other driver is at least 50 percent at-fault in causing the accident. This is known as liability. This threshold requirement often causes lengthy litigation, as there is argument about whether the threshold has been met. If the victim was killed or suffered serious and permanent disfigurement, there should be no argument as to whether the claim qualifies regarding threshold requirement. The accident left you with an injury to a body function that is important to you. For example, your main source of income involves working with your hands but crushed and permanently altered fingers will impact your ability to continue this work. The injury has affected your ability to lead a normal life. The injury is objectively manifested, meaning the injury can be observed or perceived from actual symptoms or conditions. The injury fits additional parameters or factors deemed necessary by the court. Personal injury damages or a third-party claim is filed in direct response to injuries that were suffered after a car crash or car accident. Third-party claims are incredibly common, but they are not always easy to win unless you are working with an experienced Michigan car accident attorney. It can be difficult to prove the legitimacy of a third-party claim because of the language in the Michigan no-fault law. 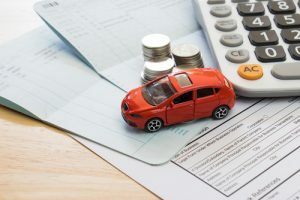 The no-fault law and first-party benefits designed to provide accident victims with benefits is also worded so that it benefits the insurance company of the driver who is blamed for causing an auto accident. If a car accident resulted in death, the surviving family members can also file a wrongful death claim against the at-fault driver. Insurance companies and no-fault law can make it difficult to secure third-party benefits to which you are entitled. Get support from the experienced car accident attorneys and third-party claim lawyers at Thurswell Law. Our experts are prepared to present your claim and prove the threshold requirement so you receive the full benefits to which you are entitled following an accident. At Thurswell Law, there are no fees unless you collect. Contact us at (248) 354-2222.